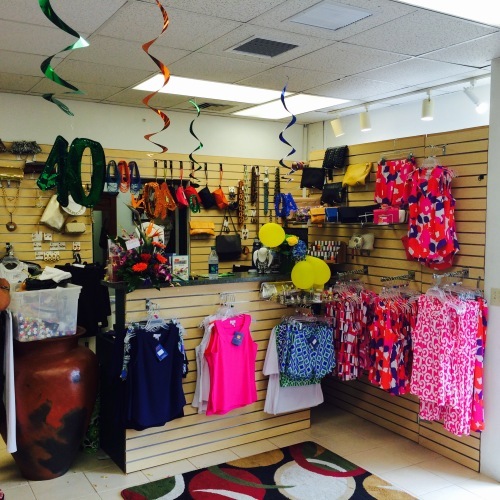 Bermuda's top stop for men and women's clothing, 27th Century Boutique is located in the busy city of Hamilton. Founded over 40 years ago by Kirk Bartram, this shop offers a wide range of brands that are sure to please. At 27th Century Boutique, you'll find polo shirts, dress shirts, khakis, suits, trousers and more in the men's section, as well as dress pants, dresses blouses, skirts and sparkly tanks in the women's section. Stylish and affordable purses, jewellery, shoes and more are also available. Owner Sharon Bartram is known for her eye for style and always offers great advice. Available brands include Joseph Ribkoff, Jude Connally, Lynn Ritchie, Clarasunwoo, Orly and other prestigious and popular designers.